Oʻahu known as "The Gathering Place", is the third largest of the Hawaiian Islands; however, it is the most populous of the islands in the U.S. state of Hawaii while also having the primary and only intercontinental Honolulu International Airport. The state capital, Honolulu, is on Oʻahu's southeast coast. 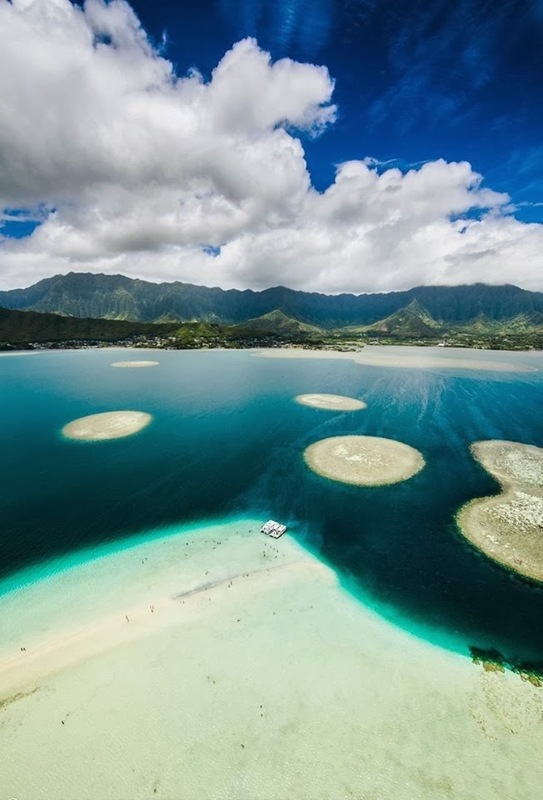 Including small close-in offshore islands such as Ford Island and the islands in Kaneohe Bay and off the eastern (windward) coast, it has a total land area of 596.7 square miles (1,545.4 km2), making it the 20th largest island in the United States. In the greatest dimension, this volcanic island is 44 miles (71 km) long and 30 miles (48 km) across. The length of the shoreline is 227 miles (365 km). The island is the result of two separate shield volcanoes: Waiʻanae and Koʻolau, with a broad "valley" or saddle (the central Oʻahu Plain) between them. The highest point is Mt. Ka'ala in the Waiʻanae Range, rising to 4,003 feet (1,220 m) above sea level.